Manifested by God the Father he was decapitated by the sword. O golden spirit your strength is like brass. Saint Chrysogonos was the teacher of the Great Martyr Saint Anastasia. When Diocletian learned that the prisons of Rome were overcrowded with Christians who resisted torture, he ordered them all to be killed in a single night, and for Chrysogonos to be sent to him at Aquileia. Saint Anastasia followed her teacher at a distance. 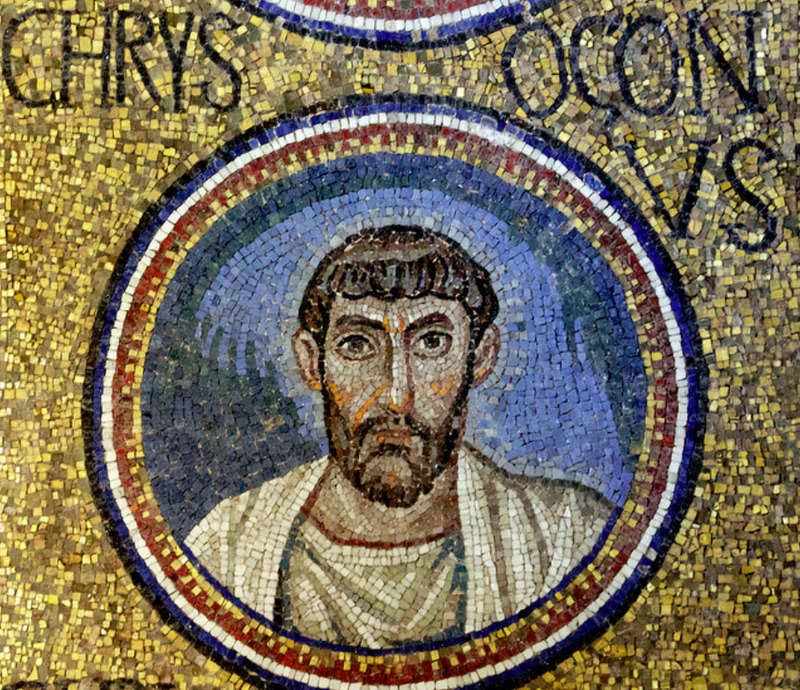 The emperor interrogated Chrysogonos personally, but could not make him renounce his faith. Therefore, he had him beheaded and thrown into the sea. 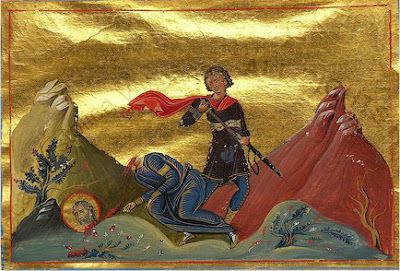 The body and severed head of the holy martyr were carried to shore by the waves. There by divine Providence, the relics were found by a presbyter named Zoilos who placed them in a coffer, and concealed them at his home. Saint Chrysogonos appeared to Zoilos and informed him that Saints Agape, Chione and Irene (Apr. 16), three sisters who lived nearby, would soon endure martyrdom. He told him to send Saint Anastasia to them to encourage them. Saint Chrysogonos foretold that Zoilos would also die on the same day. Nine days later, the words of Saint Chrysogonos were fulfilled. Zoilos fell asleep in the Lord, and Saint Anastasia visited the three maidens before their torture. When these three martyrs gave up their souls to the Lord, she buried their bodies. The Holy Martyr Chrysogonos is commemorated both on November 24th and December 22nd.